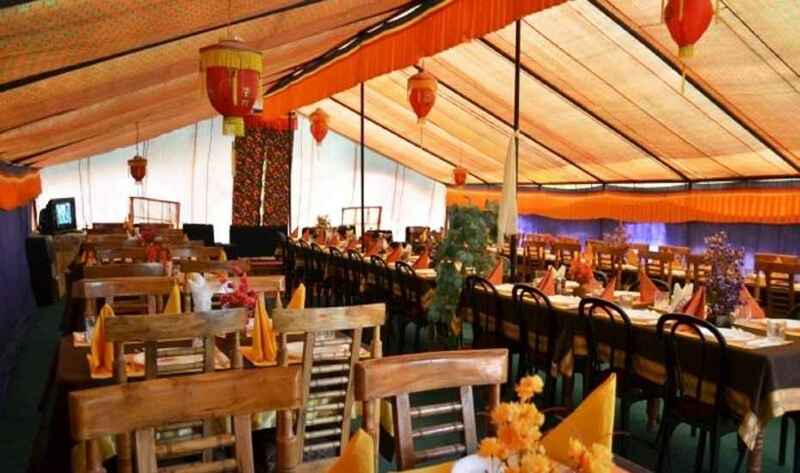 MarTseMik Camping Resort came to existance in year 2005, with a big aim to make customer stay possible and comfortable at Pangong Lake, earlier to this it was difficult for the tourist to stay at such a wnoderful place. It is 4 hours drive from Leh Airport and pass through the villages like Shey, Thiksey, Kuaru, Shakti & The Changla past. Martsemik Eco Resort gives you a panoramic View of the Himalayan range of Ladakh which will experience a feeling of tranquility while relaxing at Martsemik Eco Resort. We invite you to email or call us with questions about MarTseMik Eco Camping Resort. Porter Service Available, Backup Generator, Parking, Campfire/Bonfire, Barbecue Area. Complimentary Newspaper, H/C Water, Complimentary Toiletries. User reviews for "Martsemikla Camp Leh"